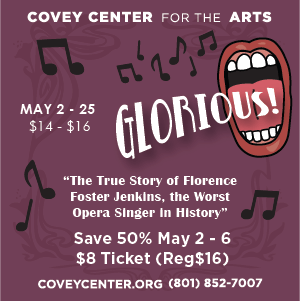 Glorious – The hilariously true story of Florence Foster Jenkins, widely known in 1940s New York as the world’s worst singer and “first lady of the sliding scale.” Written in 2005, by Peter Quilter, this play was nominated for a Laurence Olivier Award for Best New Comedy. Directed by Lynne D. Bronson. 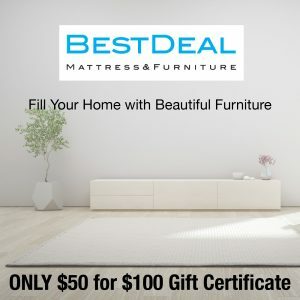 VALID May 2, 3, 4 or 6th performance at 7:30 p.m. at the Covey Center for the Arts. Be sure to call the Covey’s Box Office after receiving your email confirmation to reserve your show seats – 801-852-7007.